It’s the week before Christmas, and Rob and I have been to 4 parties in the last week. We’ve had too much to drink and way too much decadent foods to sample. So, we wanted something light and healthy for dinner. To begin our search we went to the Farm Market on Saturday morning, and I was enticed by the huge array for fresh vegetables. That was it! I decided to make Fresh Gazpacho and add a few grilled shrimp for protein. One of the essential kitchen appliances to make Gazpacho is my 14 Cup Cuisinart Food Processor. The first time I ever say a food processor was in the mid 70’s at a cooking demonstration in a department store in Rochester, New York. I was in awe as I watched the woman chop, slice & shred all kinds of foods. In the 70’s, it was a little pricey and I was really just a novice cook, but I just had to have one. Besides chopping, slicing & shredding, it’s great for making homemade nut butter, pesto & hummus, chopping nuts, grinding meat. But, one of my favorite uses is making home made no fail pie crust. I also have a Mini Cuisinart Food processor to use when chopping smaller amounts. 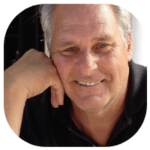 PS – My first Cuisinart lasted for almost 30 years until I literally wore it out! 14 Cup Cuisinart Food Processor & pulse until finely chopped. Pour into a large bowl. Add seeded tomatoes in to the Cuisinart and , and pulse until almost smooth. Stir the tomatoes into vegetable mixture. Cover and refrigerate until ready to serve. Toss shrimp in olive oil and salt & pepper to taste. Grill the shrimp over medium high for about 3 – 5 minutes or until done. Dice the avocado into fairly large chunks. 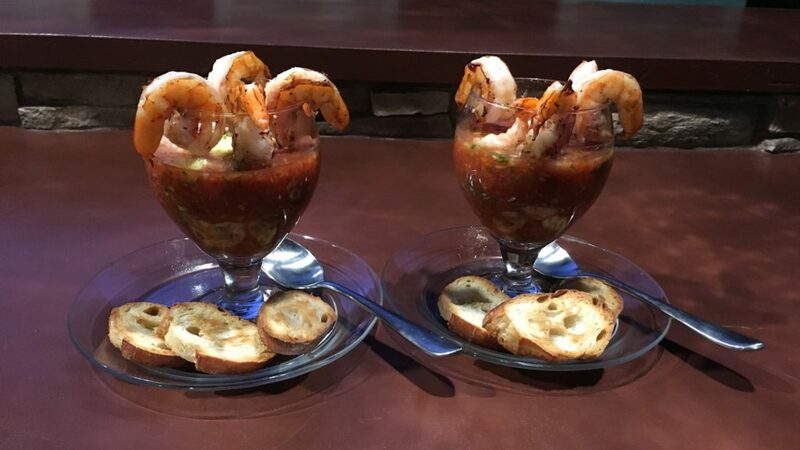 Pour gazpacho into serving dishes and garnish with grilled shrimp & avocado chunks. This Gazpacho is a light & healthy easy choice. Adding grilled shrimp provides protein and makes an overall incredible meal!